The Collected Interior: Frugalicious Friday & A Giveaway...Flirty Aprons! 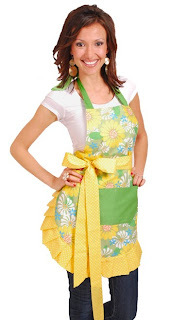 Frugalicious Friday & A Giveaway...Flirty Aprons! Welcome to the 34th edition of Frugalicious Friday! I'm super excited, cuz we've got a fun n' flirty giveaway today...Wahoo! Have you heard of Flirty Aprons? If not let me show you some eye candy! Yup, I'm in love! I'd say cooking dinner in one of these aprons would make dinnertime a little more fun wouldn't you? 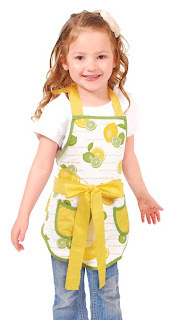 Flirty Aprons carries several fun styles, and offer matching mother-daughter aprons as well...love that! Flirty Aprons even carries men's aprons perfect for the grill master in your house! And what a great gift idea for Father's Day! Well, for our giveaway today...Flirty Aprons is offering one fabulous Apron of your choice to one lucky Frugalicious Friday participant. Here's how you can win! 1. Link up your fabulous finds, crafts and Diy projects and you are entered! Yup, it's that easy. Okay guys, link up...and show us how you find fabulous! I'll announce the winner in my Frugalicious Friday Favorites post next week! Good Luck! Such cute aprons! I love seeing that bit of the past coming back. All three are going on now! Thanks for the great party this week!! Love the aprons! 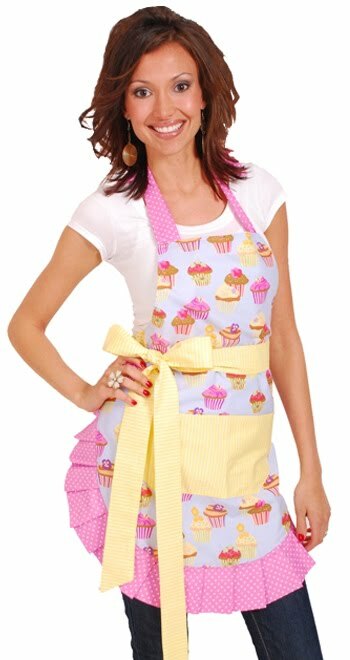 that cupcake apron is the cutest thing. i don't bake, but i would if i had that! I love the frosted cupcake!!! Enter me in! 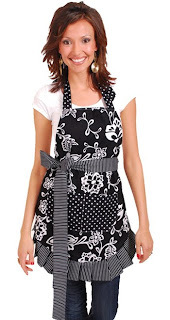 All the aprons are fabulous -- I love them all! Thanks again for hosting such a fun party, Jane. I'm off to visit the posts! Those little aprons are hott! What a great giveaway! Thanks for hosting! Thanks for hosting Jane, loving all the great ideas!! It is so fun to see all the great ideas. Thanks so much Jane! I would LOVE to win one of these - how cute!! Hey Jane! Thanks as always for hosting and for the apron giveaway, I can't tell you how many times I've entered on diff blogs to try to win one w/ no avail yet. ha! I would LOVE for you to come link up one of your posts to fabulous Friday today on our blog! Thanks! Hey, Jane! Thanks so much for hosting!